Eric Jay Dolin, whose previous work includes Leviathan and When America Met China, has generated yet another meticulously researched and well narrated piece of nautical history. Focusing on America’s lighthouses from inception to the current day, Brilliant Beacons is a sweeping, majestic piece that encompasses technology, material culture, engineering, personal histories and the strategic role lighthouses have played in America’s development and growth over the last three plus centuries. Writing with the passion of someone who has long had a love affair with the sea and her incredible stories, Dolin draws the reader in with the origins of American lighthouse design and tirelessly waltzes through topics that lesser authors would render dry and boring. This is the second of Dolin’s books reviewed on this site and both have held particular meaning for me. The first being When America Met China, which, for someone who majored in Chinese language at America’s ninth oldest university, was of particular interest and is a phenomenal read. Having grown up in North Carolina, I have always had an affinity for lighthouses, especially given that I was a young teenager when the iconic Cape Hatteras light house was moved 1,500 feet to save it from being engulfed by the ravaging waves of the Atlantic. Thus, the subject of Brilliant Beacons more than intrigued me and, while I didn’t have the opportunity to read it at the beach, I read the first 25% from my home overlooking the Port of Tampa and the remaining 75% on a round-trip flight to New York City, a city forever linked with the sea. Overall, Dolin’s narrative style enables the reader to make quick work of the book’s 400 plus pages. Saying Brilliant Beacons is the perfect beach read might sound a little cliche, however, the book is both illuminating and entertaining and the timing of its release at the height of the summer months could not have been better planned. Pick up Dolin’s latest and read away, you will be glad you did. Yesterday the Royal Navy decommissioned its last Invincible class aircraft/helicopter carrier, HMS Illustrious, better known to her crew as “Lusty“. Laid down in 1976, Illustrious was the second of the three Invincible class carriers with her sister ships being HMS Invincible and HMS Ark Royal. While the ship was being fitted out, the Argentinians invaded the Falkland Islands and the carrier was rushed into service – so rushed in fact that she was commissioned at sea on June 20, 1982 as she sailed to the relief of the occupied Falklands. The Falklands War also changed the role the Invincible class carriers were originally conceived to fulfill. Instead of operating in a primarily ASW role, the Falklands forced the Royal Navy to adapt the carriers to embark a larger fixed-air complement in order to provide air cover for both land and sea operations. Illustrious served not only in the Falklands, but also supported British and Coalition forces in Bosnia, Sierra Leone and Afghanistan. The ship will avoid the fate of being scrapped like her sisters. Plans are being made for preservation in some form as a tourist attraction, museum, or floating hotel/conference center much like the plans in consideration for the SS United States. While the Royal Navy’s floating fixed wing capability was scrapped several years ago with the retirement of its Harrier fleet, the decommissioning of the Illustrious truly ends, for now, the Royal Navy’s ability to field a floating fixed wing airstrip. Until the commissioning of the HMS Queen Elizabeth in 2017, the Royal Navy must rely on its sole aircraft carrier HMS Ocean for air support of both maritime and land operations. USS Ranger – Museum Ship or Razor Blades? As her sister ship USS Saratoga slowly makes her way to the scrap heap, USS Ranger (CV-61) sadly awaits the same fate. Launched in 1957, the Ranger was one of four new Forrestal-class super-carriers and the seventh US Navy warship to bear the name Ranger. Like an earlier USS Ranger (CV-4) which had been the first American aircraft carrier designed from the keel-up as an aircraft carrier, the Ranger was the first American carrier to be designed from the keel-up as an angled deck carrier. During her nearly forty years in active service, the Ranger supported bombing sorties in North Vietnam, responded to unrest in Kenya/Uganda, deployed to the Middle East for Operation Desert Shield/Storm. On her final deployments, the Ranger assisted humanitarian efforts in Somalia as part of Operation Restore Hope, enforced the No-Fly Zone in Southern Iraq and launched a B-25 bomber in commemoration of Jimmy Doolittle’s 1942 raid on Japan. While never being actively attacked, the Ranger’s crew suffered at least 7 deaths during her service to accidents onboard. In addition to serving on the frontlines, Ranger also served as a floating movie set for such notable movies and television shows as Baa Baa Black Sheep, Flight of the Intruder and Top Gun. While decommissioned in 1993, the ship remained part of the US Navy’s inactive reserve fleet. Despite a proposal in 2010 to convert the vessel into a museum ship, today the Ranger is slated for the scrap heap. A dedicated group of veterans and fans have recently stepped up in an effort to save the ship and breathe life back in to the museum ship proposal. Their petition can be found here on change.org. 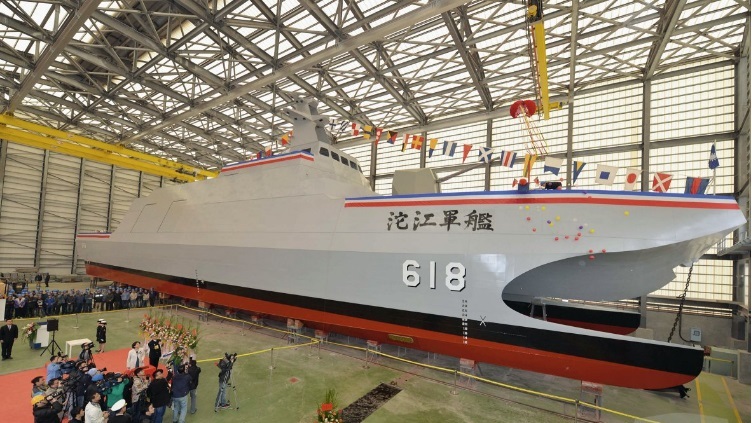 Late last week the Republic of China launched the first of a new class of stealth missile corvettes. Christened Tuo Jiang, the vessel is designed to operate with a low radar signature and is aimed at countering the threat of the People’s Republic of China’s growing aircraft carrier capability. The Tuo Jiang’s armament has not been fully publicized, however, Taiwanese news sources are reporting that it will be outfitted with a battery of Siung Feng III (HF-3) ramjet-powered supersonic anti-ship missiles. Combined with the stealth of the Tuo Jiang, the missiles give Taiwan’s navy a formidable indigenous option to discouraging and/or defeating an attack by the People’s Republic. Despite the United States’ “Asia Pivot,” the new US policy of “leading from behind” has justifiably worried Taiwan and other Pacific nations. As such, Japan, Taiwan, South Korea and the Philippines are prescient to increase their indigenous options to defending their sovereignty in the face of an increasingly belligerent People’s Republic of China. With reports of hesitation in the Chinese economy, saber rattling in the Diaoyus/Spratlys/Senkakus/South China Sea will most likely increase much like Argentina and the Falklands in the ’80s and more recently under Christina Kirchner. If the People’s Republic’s saber rattling ever becomes more than mere noise, then the stealth missile corvettes of the Tuo Jiang class will allow Taiwan’s navy to punch above its weight class much like Israel’s missile boats did in the Yom Kippur War. At 10:30pm on February 16, 1941, U-101, captained by Korvetten-Kapitan Ernst Mengersen took up a firing position off the starboard midsection of a lone British freighter slowly making her way through heavy North Atlantic seas. Despite his first spread missing, Mengersen persisted with the attack and fired another torpedo which struck the freighter’s number two hold and caused a massive explosion to rip through the vessel. Less than 20 minutes later the ship slipped beneath the frigid waves of the North Atlantic. 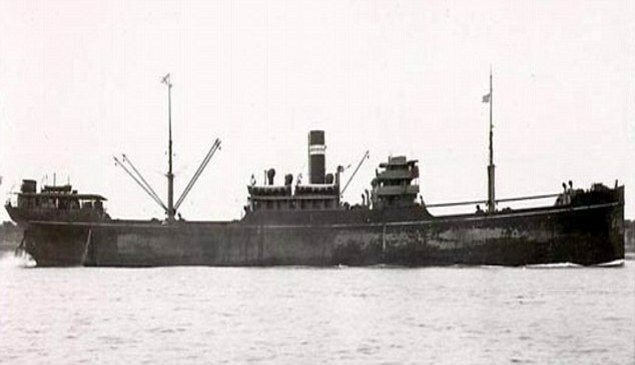 Unbeknownst to Mengersen or any of the crew of the U-101, the freighter they had sunk, the SS Gairsoppa, was laden with an incredibly valuable cargo of silver ingots bound from India to the United Kingdom. 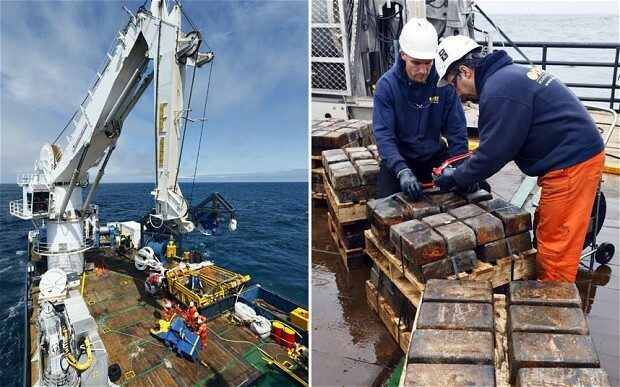 Seventy years after the Gairsoppa sinking, an American company, Odyssey Marine Exploration, through a competitive bid was awarded the exclusive salvage contract by the UK government to recover the Gairsoppa’s silver cargo . The UK government’s Ministry of War Transport had paid out a war insurance claim on the silver during World War II and as a result was the legal owner of the silver. Under the contract, which followed standard commercial practices, Odyssey assumed the risk of search and recovery and retained 80% of the net salved value of Gairsoppa silver cargo. During 2012-2013 operations, Odyssey went to work discovering, mapping and recovering the Gairsoppa’s cargo. Over the course of two summers, Odyssey recovered more than 99% of the insured silver bars equaling more than 3.5 million ounces of silver. Although most of the silver was sent to a UK refinery, investors and shipwreck enthusiasts can purchase 10oz silver ingots and 1/4oz silver Britannias struck by the Royal Mint from silver recovered from the Gairsoppa. 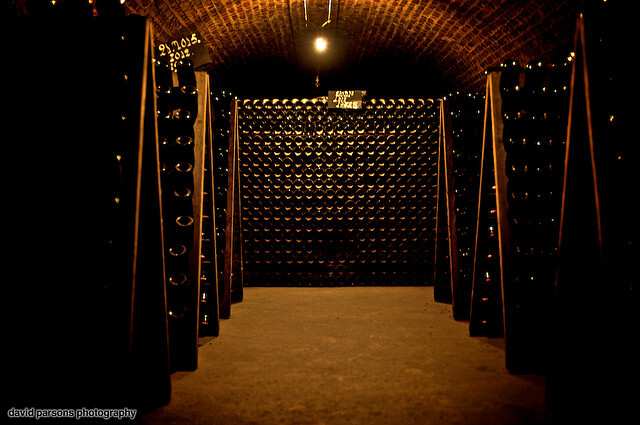 Photo: Odyssey Marine Exploration, Inc.